The City of Copenhagen hosts of the 25th ITS World Congress, when it rotates to Copenhagen in September. The congress is to showcase the latest and most cutting-edge international ITS solutions, and provide concrete answers to how intelligent transport systems improve the quality of life for both road users and citizens. The overall theme of the congress is “ITS – Quality of Life”. Every year, ERTICO organises the ITS regional Congress or World Congress in Europe. 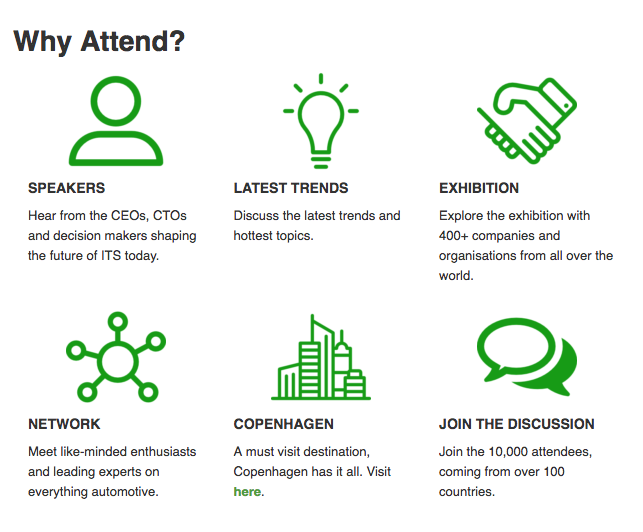 Forum Virium Helsinki’s Smart Mobility -team will be joining the event in Copenhagen. Stay tuned for updates from the congress!